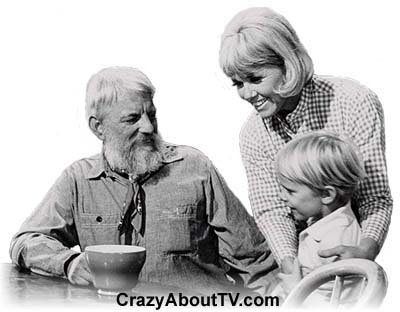 The Doris Day Show was a comedy series on CBS that began about a widow with two children who left the big city to return to her roots on the family farm. The funny parts revolved around her difficulty in adjusting to rural life. In the second season, Doris took a job in the city as an executive secretary to the editor of Today's World Magazine. She continued living on the family farm, however. In season three, Doris moved herself and her children back to the city as her job required more attention from her and commuting became difficult. Then, for the fourth and final season, drastic changes were made! Doris became a single writer and news reporter and all but two members of the rest of the cast disappeared! Season 1: Tuesday evenings on CBS from 9:30 to 10:00 PM. Seasons 2-4: Monday evenings on CBS from 9:30 to 10:00 PM. A full decade and a half before the Doris Day Show went on the air, there was a Doris Day radio show! Doris Day set a record at the time for her contract with CBS to do the Doris Day Show. CBS paid her production company several million dollars to get her to sign her contract. That was by far the largest "up-front" fee paid to date! During the second season, when the Doris Day Show was drawing the biggest audiences, the number of weekly viewers was estimated to be between 13 and 13 1/2 million! At that time, it was the #10 show on the air. CBS actually wanted to renew the Doris Day Show for a sixth season. The reason the series went off the air is that Doris Day felt everything that could be done with the series had been done in five seasons and she had no further interest in working on the show any longer. Probably due to the changing storylines throughout the series, the Doris Day Show has only been seen once since it went off the air for a brief time in the 1980s on a Christian network that aired some of the family-oriented season 1 episodes. In sydication, often only the most popular episodes get re-broadcast. With a maximum of 48 episodes (the last two seasons) with exactly the same storyline to choose from, the stations probably had no interest in syndicating the show. Written By: "Jay Livingston" and "Ray Evans"
Note: This was a shortened version as it was heard on the show. The full version was originally written for Alfred Hitchcock's 1956 re-make Of his 1934 film, "The Man Who Knew Too Much" and was sung by Doris Day. Miss Day recorded the song and while it never did that well on the U.S. charts, it was popular for many years and it did very well on most international charts. It was, for example, the #8 recording in the United Kingdom in 1956! Que Sera Sera became Miss Day's signature tune. Thank you for visiting our Doris Day Show page!